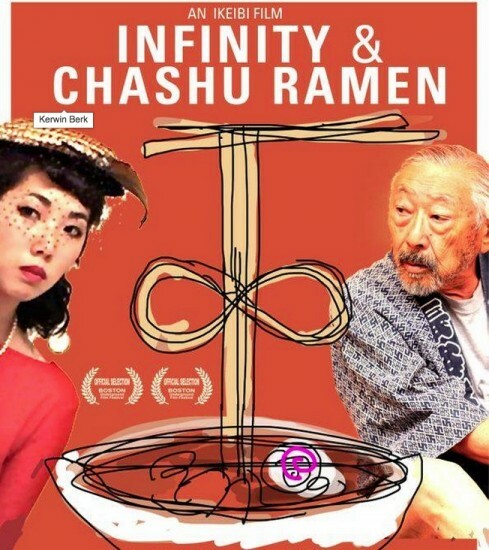 OAKLAND — “Infinity and Chashu Ramen,” a feature film directed by Kerwin Berk, will be screened on Saturday, Feb. 28, at 5 p.m. at the Oakland Asian Cultural Center, 388 Ninth St., Suite 290, in Oakland Chinatown. The universe unfolds a little differently in San Francisco Japantown — a sleepy little neighborhood in the heart of the city where magic is in the air and unseen spirits roam the streets. A cantankerous 400-year-old Japanese spirit named Tenshi has watched over the residents for generations, but today something is different. He has a new apprentice, young Lucy Yamaguchi, and together these two unseen spirits will wander through the lives of unsuspecting residents as they try to keep the universe running smoothly. “Infinity and Chashu Ramen” features six distinct storylines based in the Japanese folklore tradition of tengu and is the first feature film shot entirely in San Francisco Japantown. The film stars noted Nisei poet, playwright and actor Hiroshi Kashiwagi and features Wendy Woo, Sandra Young, Todd Nakagawa, Suz Takeda, Anna Jones, Jean Franco, Khoi Tran, Randall Nakano, Larry Kitagawa, Ben Arikawa, Carolyn Hu, Nan Suphari, Nishea Andolong, Rey Taira, Ricky Wang and Chizuko Omori. Tickets are $12 at the door, $10 in advance for adults, $8 for seniors and OACC members. For more information, visit http://infinityandchashuramen.com.